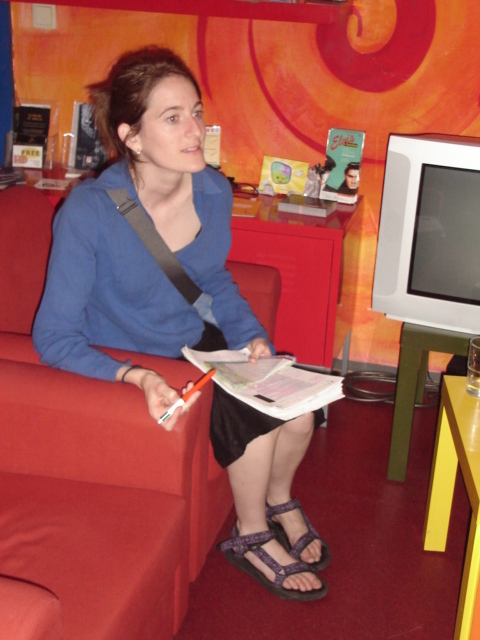 Candace a writer for Let's Go or Lets Go came into the Lett'em Sleep Hostel here in Berlin a day ago. She popped in, I took photos fast, and she left really fast. She had no idea why I was taking photos, I had to be quick, she was there at most only 5 minutes. Too much serious, glad I am not a travel writer.